Starry Night is regarded as Vincent van Gogh´s greatest work of art and it is the best example of his artistic achievement. The Starry Night painting is one of the most reproduced images in Western art and it is much-loved worldwide. Starry Night was produced in a time of modernity when nontraditional ways of thinking were coming into play. Scientists, writers and artists were all pursuing new theories and ways of working that had not been used before. Artists were moving away from traditional methods of painting in search of new forms of expression. 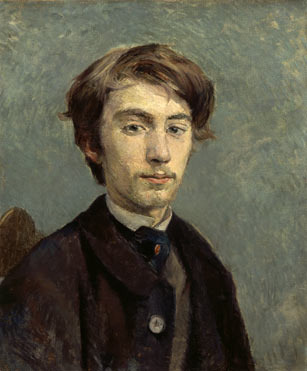 Like his contemporaries, van Gogh was disregarding the old technique of painting accurate images. Furthermore, his focus on contours was evident but less so for other Impressionists at this time. Therefore the composition of Starry Night was separate from the Impressionist technique of the 19th century. Van Gogh was well aware that his composition was somewhat surreal and stylized and in a letter to his brother, Theo, he even referred to "exaggerations in terms of composition. A personal painting, Starry Night was an opportunity for van Gogh to rival the work of artists such as Gauguin and Bernard. Van Gogh was sure that the three were taking their art in the same direction and said: "Gauguin, Bernard and me are here for consoling or to prepare a more consoling painting. " Van Gogh's desire to give himself the artistic freedom of artists such as Bernard and Gauguin has also fuelled much discussion of this work of art. Starry Night was well-received and hailed as a masterpiece. The Starry Night painting led to van Gogh becoming a pioneer of Post-impressionism and modern art. Despite van Gogh´s concerns about this canvas, art critics have deemed Starry Night one of the artist´s most significant works. Starry Night´s combination of form and religious nuances have led to much speculation about this piece. Moreover, quotes from the artist such as: "It often seems to me that the night is more richly colored than the day," and "I have a terrible need for - I'll use the word - religion, so I go outside at night to paint the stars" have resulted in a great deal of critical debate. Many commentators believe that Starry Night is a reflection of van Gogh´s torment at this time. Its bold brush work and vivid colors contrasting with the dark tones of the night sky are believed to symbolize van Gogh´s frame of mind during a time of great illness. Other reviews of Starry Night refute the idea that van Gogh was indeed ´mad´ or that his mental state during his later years shaped this and other similar works. Such critics argue that van Gogh's illness prevented him from painting rather than inspired him. Thus, his paintings were a means of staying in touch with reality and were produced during moments of sanity. Starry Night is regarded by many as the painting created at the height of van Gogh´s career, and the best of his Saint-Rémy swirl canvases. Unlike his previous works, Starry Night was created from memory and not from reality. 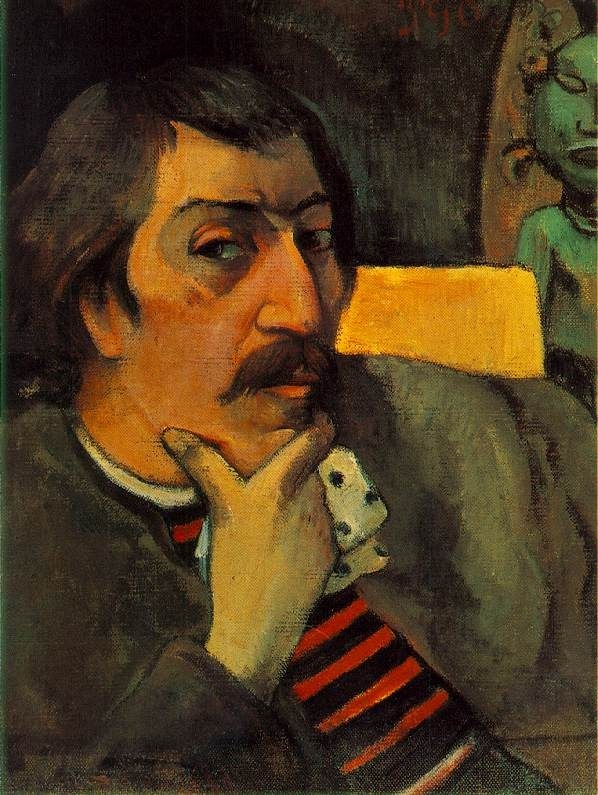 Many critics see this as a reflection of the influence of Paul Gauguin in van Gogh´s work, where painting becomes more artificial and the palette is more distinct. Van Gogh and Gauguin were categorized as Romantic Post-impressionists who experimented with vibrant shades and expressive brush strokes, and who ignored traditional doctrines of conveying space and organizing compositions. Disregarding the Impressionist principle of truth to nature and opting for a feeling of restlessness and vibrant color resulted in van Gogh making his work a benchmark for later Expressionist artwork. With Starry Night and other later offerings Van Gogh used every part of the canvas to express intense color, energy, and texture. In the Starry Night painting there is overlapping between the earth (fields, trees, and buildings) and the sky (moon and stars). Like with many of his canvases, the lights from the village windows create a feeling of protection from the prevailing darkness. Starry Night shows van Gogh´s succinctness and the strength of his visual capabilities. It is also a great example of how well van Gogh integrates color and is able to mix warm oranges, yellows, and reds with cold whites and blues. The Starry Night painting inspired many great artists and entertainers including Canadian composer Giancarlo Scalia's piano composition Starry Night and French composer Henri Dutilleux's orchestral work Timbres, Espace, Mouvement. It was also the inspiration for Don McLean´s song "Vincent" or "Starry, Starry Night". Furthermore, van Gogh´s masterpiece greatly influenced the German Expressionists and the Norwegian painter Edvard Munch. The prominence of the Starry Night painting in the Museum of Modern Art reflects its importance as a forebear of the Fauve and Expressionist movements in 20th-century art.